Want to learn how to dive? 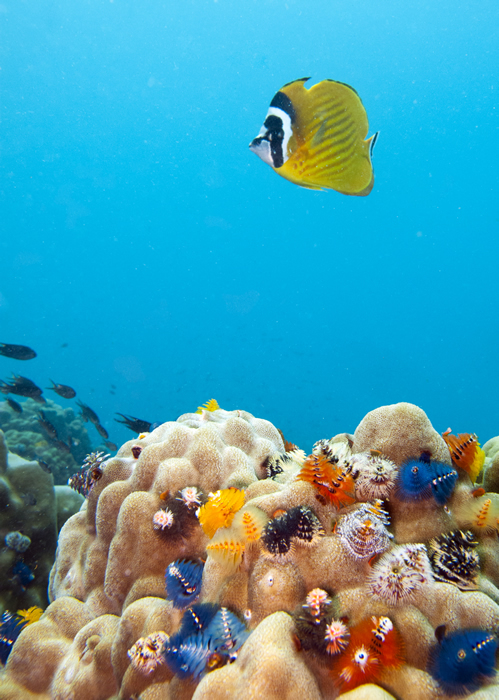 What better place to get your diving certification than in the crystal clear and warm waters of Koh Tao? 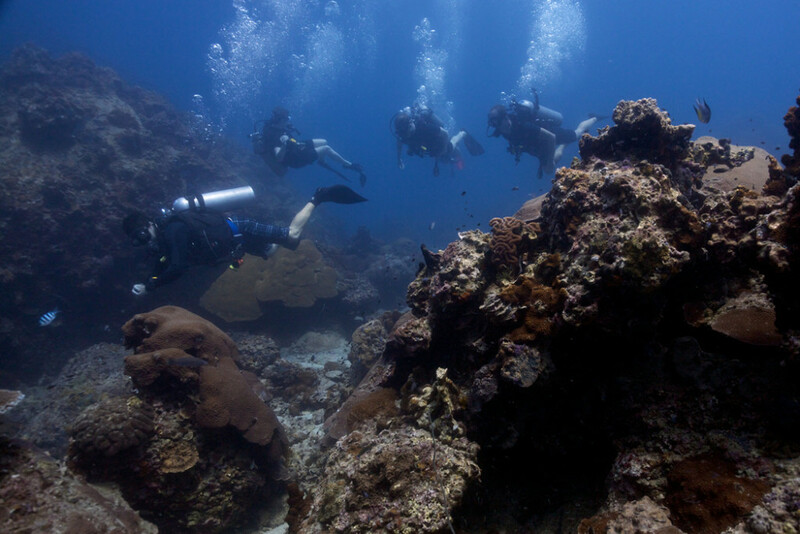 You do not need any previous experience in diving. 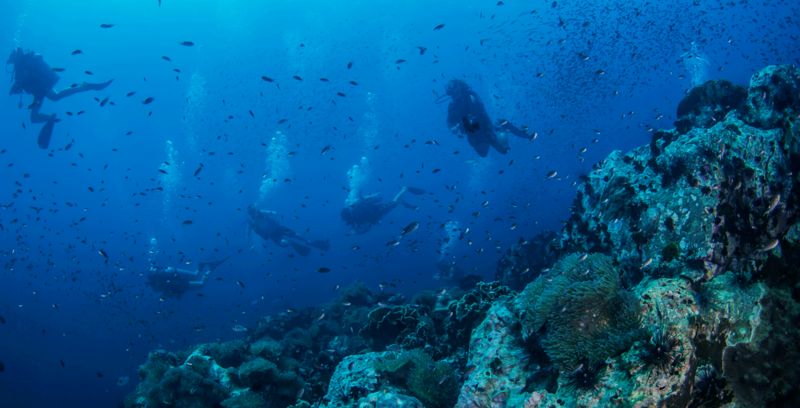 Let our fun, enthusiastic, highly experienced and professional dive instructors take you on an unforgettable journey. Everyone is welcome in the Sairee Cottage Diving family. You will be certified to dive with another certified diver to 18m anywhere in the world for the rest of your life! Read about the detailed 3 day schedule below so you know what to expect. Everyone is welcome in the Sairee Cottage Diving family. We provide a fun, personal and professional learning environment. Our team consists of both female and male full-time, level two (Master Scuba Diver Trainer rated) diving instructors. Just come down to the pool bar and have a chat with us! We are the only school on Koh Tao with a Pure Air certificate from Bauer Compressors. Our purpose built pool is perfect for taking your first breaths underwater. 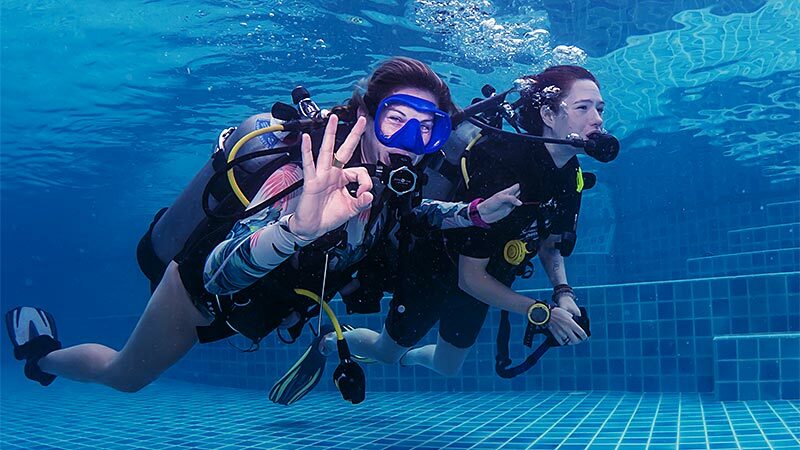 We have a 5 star rating from PADI and we maintain a very high standard of equipment. We are proud of our 100% Project AWARE rating, meaning we donate on behalf of every certified diver to shark and ray conservation. 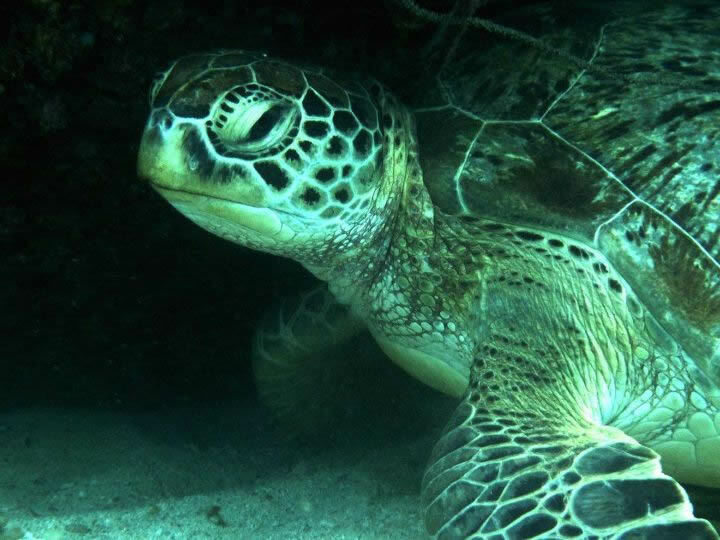 We organise regular clean-up events and are passionate about preserving our ocean for future generations. 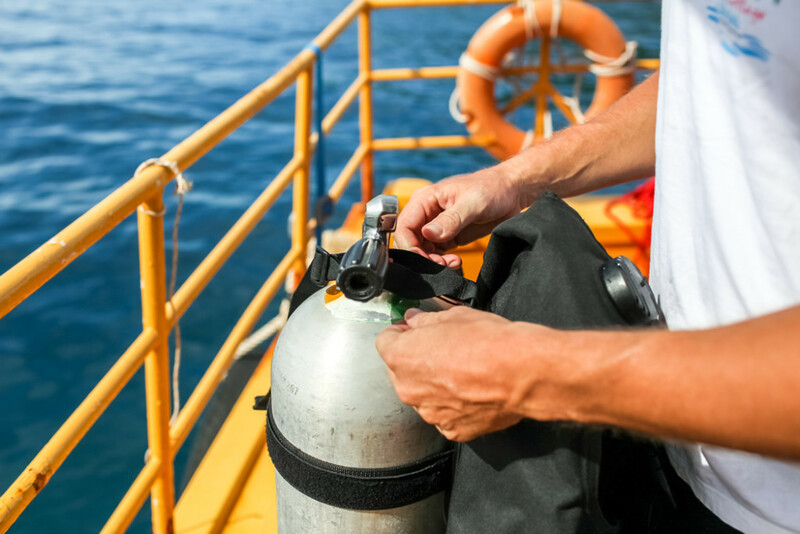 If you do not already have insurance cover that fully covers you for SCUBA diving, we will insure you with personal diving accident cover FREE of charge! Meet your instructor, complete the paperwork and watch the educational videos. Take your first breaths underwater! Practice the required skills in our purpose built pool. A classroom session to ensure everyone understands the basic diving theory. We head out and do our first two dives 1+2 in the ocean to a maximum depth of 12m. We head for our final open water dives 3+4 to a depth of 18m. Celebrate with a cold drink at the pool bar. 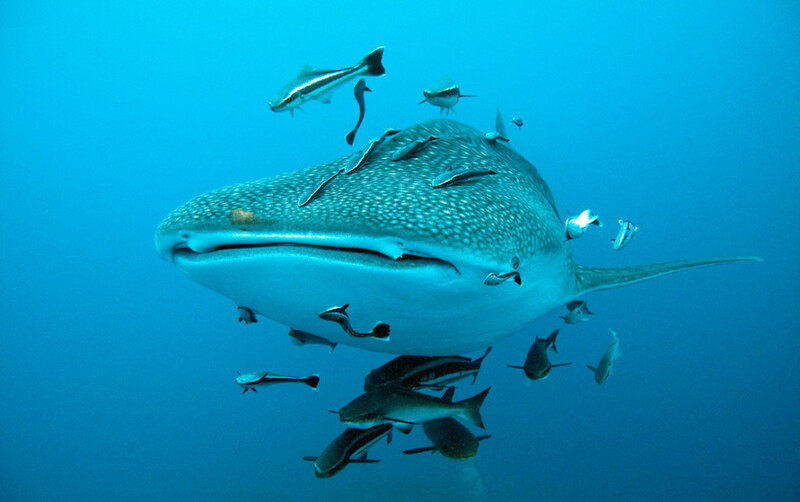 So once you get your PADI Open Water diving license on Koh Tao, you will be recognised world wide as a certified diver who can go on dive trips, rent equipment and conduct your own dives with a buddy up to a depth of 18 meters, anywhere in the world! It’s never been easier! The course lasts for 3 full days with NO late afternoon start. We start in the morning to give you time to settle into the island first. We start courses every day. 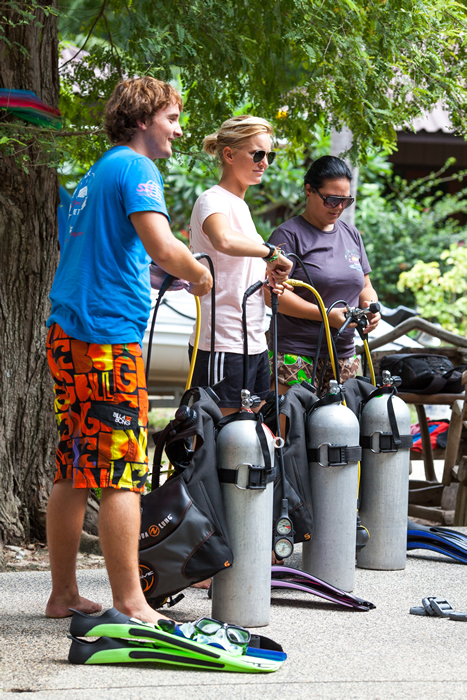 Start your journey into another world with Sairee Cottage Diving and get your diving license on Koh Tao! 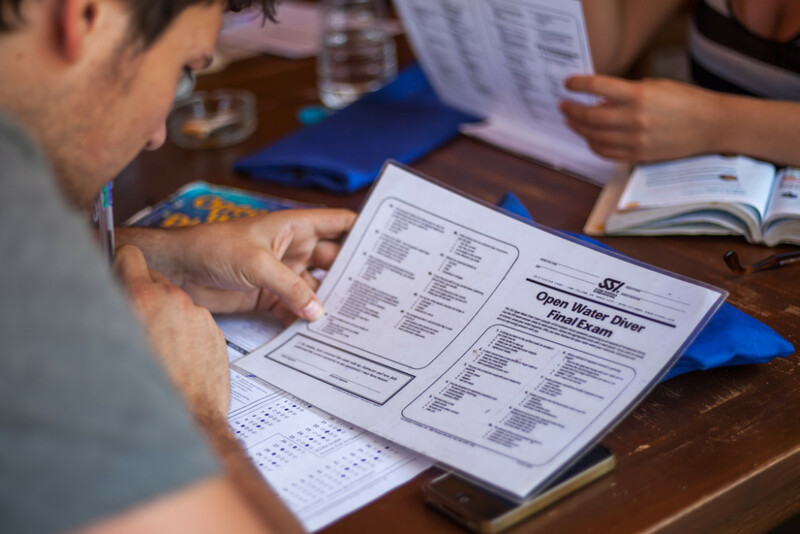 The certification will be completed through PADI on Koh Tao, the most recognised name in diver training. Manuals and videos and even the final exam can be completed in most languages. The instructor usually conducts the classes in English. Online learning can be completed ahead of time! There’s no homework or long videos to watch on your holiday! PADI do charge a fee for online learning. Be able to swim and float in water too deep to stand up in.